How would you describe yourself? I could easily get along with others. I have an outgoing personality. As a brother to my siblings and as son to my parents I am a responsible. JMDLC: Marketing Officer, MMS Entertainment Inc.
JMDLC: Whatever job it is as long as legal but I dream to be a professional model someday. 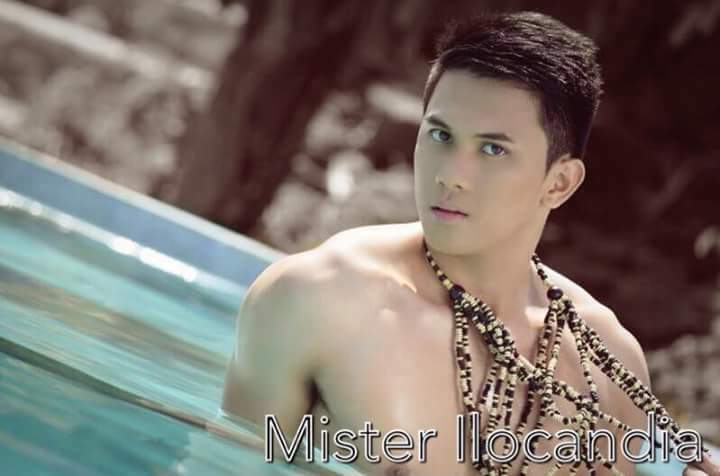 JMDLC: My mentor (Macky Balisacan, producer and owner of Mister Ilocandia pageant) pushed me to join this pageant but I also want it badly. I am very decided to do this because this is a big event. And if given the chance to win one of the titles, I will be able to represent our country in the international competition. And aside from that, what really drives me most is the chance to help my family because I do not come from a well-off family. I have 4 siblings who are still studying and my mother is sick yet my father does not receive good salary from his job. 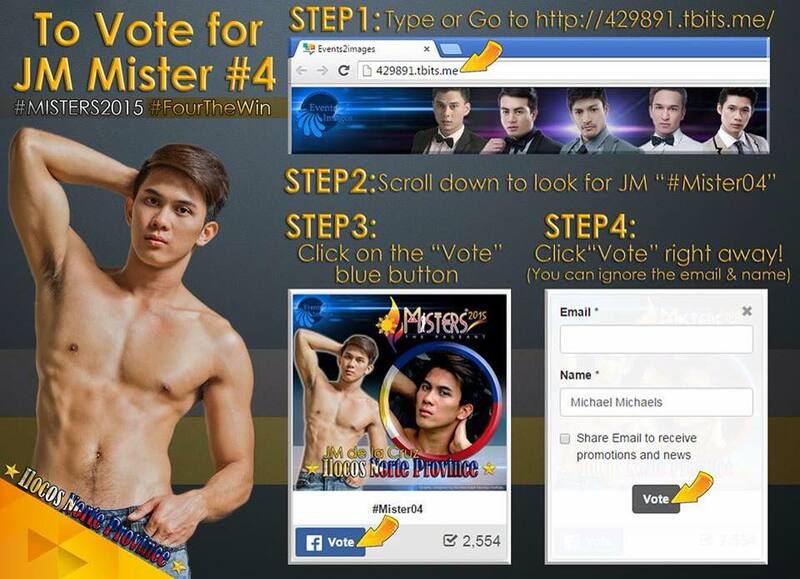 So those are the reasons why I am motivated to join this competition. 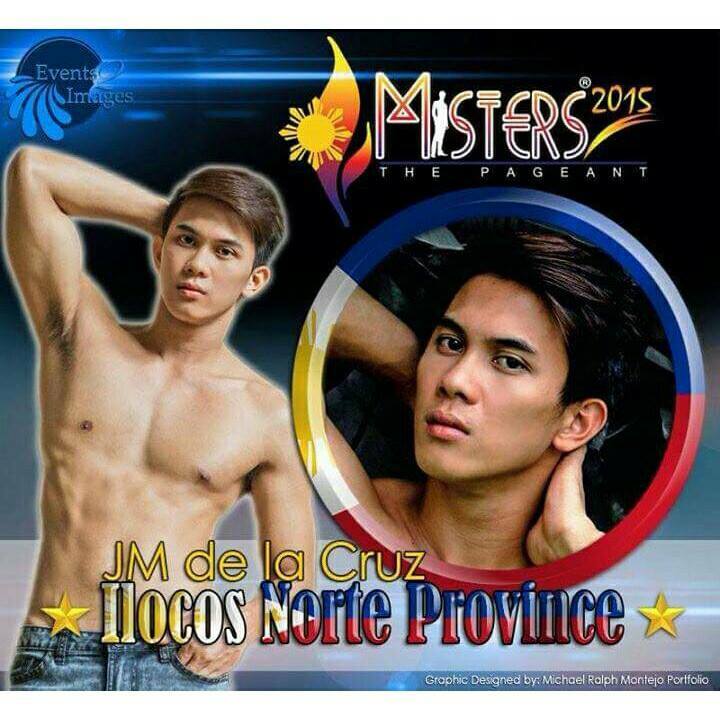 JMDLC: My inspiration why i have joined misters 2015 are my fellow Ilocanos especially my family. JMDLC: I rigidly train in the gym. I was blessed because Harriyas Fitness Gym sponsored my training fee. JMDLC: My armpit because as others said it’s like yummy. Hehe!!! JMDLC: My eyes are expressive. And my armpit too. JMDLC: My teeth I know my teeth is not that good as the others that is why I want to improve. I’m contented already with my skin tone. JMDLC: I have read the newspaper for years. First section I read is always the Sports. After that I read local/regional news. I like columnists, but I don't like reader-written editorials (I COMPLETELY don't care what the "public" thinks.) Now, I rarely read the newspaper. It usually goes from my doorstep, straight into the garbage can. All my news comes online now. Favorite color/s: Blue and yellow. Favorite fruit/s: Avocado and banana. Favorite vegetable/s: Anything expect ampalaya, bawal ang bitter. Haha! Favorite magazines: Men’s Health Philippines. JMDLC: For me a routine helps. I work out and even when I'm horribly depressed, it still helps me, forces me out of bed. JMDLC: I would like to be able to see what's in a person’s heart. To know who the people are who would do harm or good in advance so I could warn others and keep them safe while helping those who are deserving. JMDLC: In the rice field helping my father. JMDLC: Thank the universe because he makes me happy despite all the challenges in life. JMDLC: The late Nelson Mandela of Africa. He taught us how to respect other people despite their colors and status. If we learn how not to discriminate other people and treat each other as brothers and sisters then this world will be a better place to live in. JMDLC: Get on a plane to America! You know, no passport and all that is needed when you're invisible... and just enjoy! JMDLC: I think I’d have to be a camera, in the hope that I will be brought to amazing places! JMDLC: Rosary as my guide and cellphone. JMDLC: If I have $1 Million, I'll cut it into 3 portions: 1. For business 2. Tour around the world and have fun 3. Charity works. I will help build a school in a remote area in the Philippines and name the building under my last name. hahaha!!! Very happy!